who will recognize the moment of gold? 28 Dec 2007 @ 16:21 by vaxen : Yes! I remember well the Badawi. I lived for two years with them. The Mezeni and the Tarabini. One friend of mine, Guma, who was the tribes poet, taught me how to make a sumsumiya which became my closest companion. That and my Hatool-Bar and buried F-N, and my knives. Many were the nights I spent under the starlight of the deep Sinai, alone, me and the Ruh. The Winds would play the strings of my sumsumiya as they swept down wadi El Arish and create the most haunting of melodies and harmonies. Unearthly music that filled my soul and made me whole. El Badawi also taught me how to find water where there was none using a little stone. The sound of a stone, has to be the right size, when landing above buried water , in some abandoned ancient wadi or on the side of a mountain, is differnet then when it lands where there is no water. Took awhile to get the hang of it...but we had time, so much time, running the ridges of Saud Il Arab, walking the ancient dried up river beds of the deep SInai. We were looking for Aswad Leyl...trackers. This music project features the sumsumiya, and rababa. 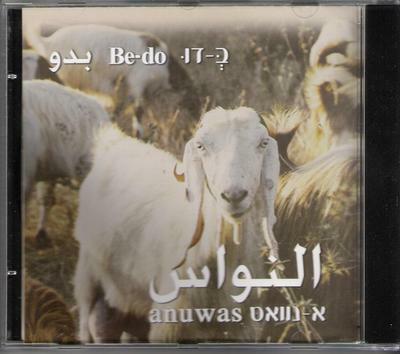 Haunting works of arabic/hebrew, melodies from traditional iraqi or bedouin or hebrew tradition. learned how to make a rabab. Gritty, gutsy sound...I love it! We'd take old discarded, round if possible, tins from oil cans or whatever was to be found and a brrom stick for the neck and string it with the wire from the military phone lines which were strung up seeming endlessly all over the place. You had to seperate the one single steel strand out from around nine or so softer wires, I forget what they were made of...aluminum...maybe. That we'd fit to the neck. Having bored a hole into the top of the neck using the fire and a heated rod. Rabab was easier than the sumsumiya as you had only one hole to bore and one string to string it with. For the bow we'd take a palm front, dried, and string it with plastic bailing twine. The bailing twine had to be untwisted so that it was relatively stright across with each single strand alined with the others '|', like a violin bow, then notched into the palm frond. When you have one hundred players with a variety of rababs and sumsumiyas and beduin drums chanting old beduin songs...the atmosphere is hypnotic. Then comes the sword dances! I love the old Ladino songs of Sfarad, especially, in our Hebrew tradition. Victoria De Los Angeles made several albums of old Hebrew religious Cante. Incredible stuff. The Morroccan school also has some incredible music. Is there a link to your project or will there be one forthcoming? Hey, it would be nice to have some downloads of these strains of different music...I'll see if I can find an ftp site. There are downloads as well. This is not my project. I was merely a tool for doing some translating (not on My space but on some future blurb for their CD). Fascinating. Thanks for the instrument recipe. Sure Judih. I see these musicians are mostly a younger 'set.' Probably never have been able to get to...the deep Sinai or Abu Rhodes prison. No matter...there are still Beduins around Beer Sheva, I suppose, though I heard they were all being put into 'government' houses for their own good of course. And that my name, the name they gave me there, will be sung on the lips of each generation of Bedawi - coming forth - till all the earth is filled with that song of freedom and equality for all life. pass through that awe-inspiring sinai air. "...It was unlike anything I ever heard before. And I have been thinking about it deeply ever since, wondering what to make of it." - 'Q' on Obarama Rama Ding Dong's Oratory capacity. Somewhat Oral is he?